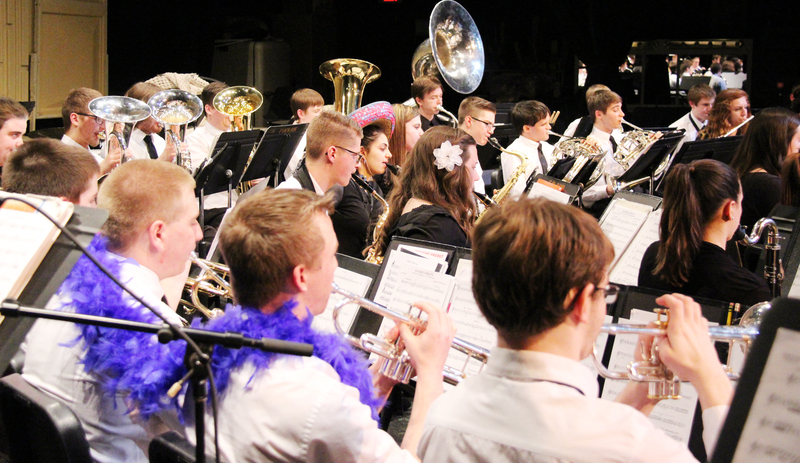 After a long, dreary winter, Phoenix student musicians ushered in the spring season with an upbeat concert featuring several solo performances that brought the crowd to its feet. 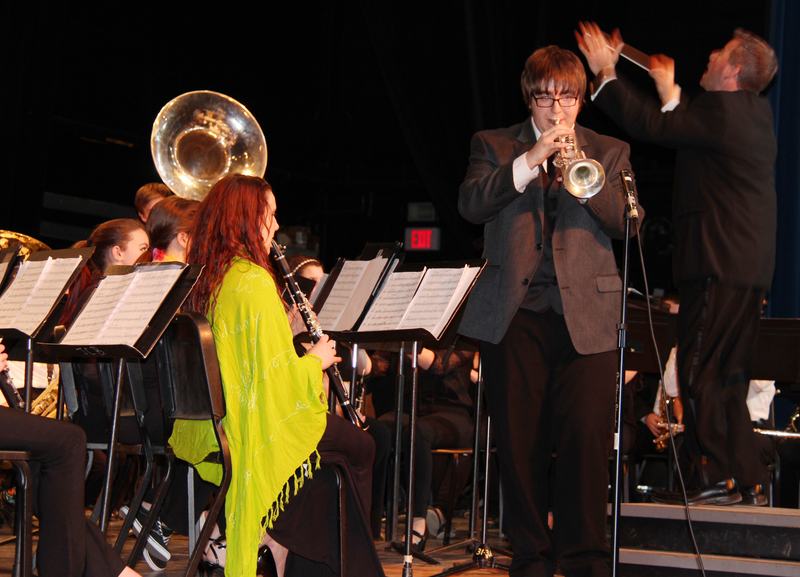 The JCB wind ensemble plays and dresses the part during a medley of mambo songs at the spring concert. The John C. Birdlebough High School symphonic band, under the direction of Joanna Young, kicked things off with four songs that delighted the audience. Student musicians played “Earth and Sky,” “Wind,” and “Sun Cycles,” before concluding with “On Cloud Nine!” — a fast-paced, energetic song that set the tone for the wind ensemble’s performance to cap off the evening. Jacob Nicolini performs a trumpet solo during the recent JCB spring concert. The playful rendition featured soloists Brian Breen (flute); Wyatt Parker (xylophone); Rachel Isbell (clarinet); and Jacob Nicolini (trumpet). Some students wore sombreros, sunglasses and ponchos as they played the upbeat song. In addition to the evening of music, wind ensemble director Dave Frateschi also recognized two students who participated in the All-County Orchestra Festival in March. He presented Mattingly Gleason and Rachel Isbell with certificates honoring them for their achievement. 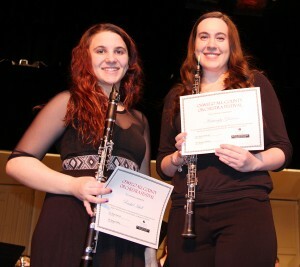 JCB student musicians Rachel Isbell and Mattingly Gleason receive a certificate of recognition for their participation in the All-County Orchestra Festival held in March.